WE ARE CATEGORIZING OUR TESTIMONIALS – PLEASE BE PATIENT AS WE WORK TO GET THEM ALL CATEGORIZED! Here’s where we put the testimonials we’ve received from YOU about the benefits you have seen using both Food Grade Diatomaceous Earth for pets, animals, and around the house and Crawling Insect Control DE for all your insect control needs. Please share your experiences with us via e-mail at info@earthworkshealth.com with what these wonderful products have done for you! Whether an email or letter, we enjoy reading and sharing your testimonials! I have used Crawling Insect Control Diatomaceous Earth from this company in the past, and just reordered some today. My testimony is for the control of fleas and other insects in the yard, house (carpets) and porches. 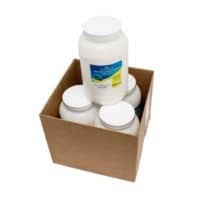 While this seems to be the main reason people use it overall, I can’t say enough about it, as I have tried soaps, hydrogen peroxide, essential oils, vegetable based garden oils, diluted bug spray, you name it, and nothing takes away the flea problem like Crawling Insect Control Diatomaceous earth. I have 16 cats, and a big yard with grass and trees and it has kept them bug free. As I live in Florida, aka “bug country” this is no small challenge. My cats are relaxed, never scratching and I tell everyone I know. I have also shopped for price, and this company seems to be the most reasonable. Sheila Gilbert 1 month ago I just got two more huge bags. I LOVE IT! I have used it for over two years now, and not one bug. I’m in an apartment, and it has killed the millions and millions of ants that were driving me crazy. So bad, they were in all our food and coming in every window. ALL GONE NOW! 3 years of chemicals and it took crawling insect control DE to get rid of them. I use it in my garden too, and your right! it doesn’t hurt the worms either! I was worried about that, and it’s great to&#65279; know they will be ok. Thank you so much ! Bed Bugs GONE!!! Thank heavens! The first time I saw a bed bug, my son had slept over at a friend’s house and when he came home, he threw his overnight bag in front of my washing machine as I was throwing in a load. I took some of his clothes out of the bag and a bug fell out onto the floor of our laundry room. I thought it was a tick. I squashed it and didn’t think any more about it. A couple of weeks later, he started to itch every time he was in bed. I thought maybe he was allergic to the detergent I was using so I switched. I started using a dye free, fragrance free detergent. It only got worse. I started noticing the bumps on his skin and because we have 2 cats, I thought maybe we may had fleas. I then went out and got Frontline Plus for the cats and I got some flea bombs for the house. Still even more bumps and now my other children, in an adjacent room started to get the same bites. My cousin was visiting one day, and she had a bedbug infestation in the past. She was laying on my son’s bed and she saw a bedbug! I lost it!! I’m not a dirty person and keep a very clean and organized home!! She showed me the bug and it hit me!! It was a bedbug that fell onto the laundry room floor that day!! Light bulb moment!! I knew where they came from. I called my son’s friend’s house and talked to his mother who told me that she is losing her mind trying EVERYTHING to get rid of them but nothing has worked! I immediately went online and saw that Crawling Insect Control Diatomaceous earth was a good way to get rid of them. I went to the hardware store and got some from there but it was not food grade and it had other pesticides mixed in as well but I needed to do something TODAY!! I ordered a bag and it was on its way but I could NOT wait for it to come and just feed my kids to the bugs in the meantime. I put it EVERYWHERE! used a make up brush to work it in to the rugs and small cracks and crevices. I took all light switch and socket covers off and used a straw to blow the powder into the walls. It didn’t seem to work well at all. I even conducted experiments to see if it killed them at all. I put 3-4 bedbugs in a plastic cup and put some In the cup w them. It took several days for them to die. Finally the product from EARTHWORKS arrived. Because it was safer for my children, I didnt have to be afraid that they would put it in their mouths. I just had to make sure that they were not breathing it in. I vacuumed up the old and repeated putting the powder in the walls, aliong all the walls where they meet the floor, dusted around the one bed that I kept, dusted the mattress, box spring, rugs, sofas, furniture, cracks, crevices, closets, stairs, & attic. In about a week they were totally gone!! It’s been about 6 weeks since I’ve seen a bedbug. I do still keep putting the dust down weekly after vacuuming to prevent the little vampires from coming back fFrom what I understand, they can go dormant for about 18 months w out a meal. I think even after THAT, I will still use it to protect my home from getting re-infested. I was sooo worried that it was going to cost me thousands to get rid of them. All I needed was EARTHWORKS!! Don’t get it from anywhere else because EARTHWORKS is the best!!! It’s also the least expensive, believe it or not. It also works on fleas, beetles, cockroaches, ants, & any other insect with an exoskeleton. (A hard shell on the outside of their body). So in a nutshell, if you suspect you have bedbugs, order from EARTHWORKS!! It really works! I contacted scabbies somehow somewhere and still do not know either! However the cream for $90.00 that the doctor gave me did nothing!! !I began to research scabbies and after hours of sitting infront of my computer crazed because the scabbies were craweling under the skin of my eye lids and under the skin of my hands, not to mention all over my back and chest,I saw “STOP SUFFERING WITH SCABIES” and wound up on your website which to me was a miricle because I am only comp. friendley and.I was ready for a looney bin. Through my tears I began reading about how Crawling insect control DE would get rid of these bugies! I mixed it as instructed with 25% DE and 75% grapseed oil and put it in a spray bottle.I rubbed it into every part of my body three times a day for three weeks and “THEY WERE GONE” I also treated my home with a mixture of 25% powder and 75% windex and sprayed my rugs,furniture,car and bed. I put the power in a salt shaker and gently shook it onto my box spring,mattress, and between my sheets and between the pillows and pillowcases.I also shook it all over my house and I can tell you that my house and bed and skin is SCABBIES FREE.I want to share this story because I know that there are other people desperate for help.I want to stress that it is very important to treat the home invirerment and wash all articles in very hot water. Store anything that is not washable in the machine in vacume bags for three weeks. DO YOURSELF A FAVOR PEOPLE.READ WHAT OTHERS HAVE EXPERIECCED WITH THIS DE SO YOU CAN BENEFIT TOO. Results in less than two weeks! I put the product down monday or tuesday left it down and closed doors opened windows and left the fans on….I put your product to the test..told my husband to take his shoes and socks off and go check….to his amasment no fleas…nothing jumped on him. He sat down there waiting and nothing!!!!! I vaccines the mattdresses and wiped dressors and nite stands down..im leaving this in the rug as long as we can stand it!!!!! Im thankful I found your product. Posted on You Tube 9/20/11 after seeing this video about a year and a half ago i purchased Crawling Insect Control DE off your site for a growing bed bug problem i had in my house. in a matter of a week or two we were 100% bed bug free. just wanted to say thanks Larry for ending our nightmare!! he’s not lying de works great for just about all insects—oh yeah…………and i only used 3 pounds for my entire 3 bedroom 2 story house! great product, never needed to call a pest control company since! Thank you again- Crawling Insect Control DE is the ONLY thing that would work for a flea infestation in my shop. I tried just about EVERYTHING available (even used commercial chemicals) and still got re-infestation when the eggs hatched. I dusted ONCE and a few days later—GONE!!! I was a little skeptical about your claims, but in two weeks my bed beg problem was solved by your product. I went from total panic when I found out I had bed bugs to extreme happiness and relief. Thank you so much! Hello, I just want everyone to know some of the wonderful effects I have experienced in using Crawling Insect Control Diatomaceous Earth. I learned about it by accident. It was while I was on a dedicated search to discover a flea powder for my kitty, that is NOT toxic in any way. I had all but given up, but had just ordered a brand that advertised itself as being non-toxic. I learned than in fact it’s VERY toxic. Not dispairing, I ordered. It seemed to me that they must be being honest, as how could something made from the ground-up shells of diatoms contain anything toxic? Sure enough, it came through on that score. After reading several testimonials from others I wanted to add that my battle with fleas in the past was horrible. I had five kitties then… and spent over $200 on products over the counter. All these chemicals… and I believe my precious cat Gabby died because of them (Kidney disease was the verdict). If I had only KNOWN about your product! And as others have noted, feces smell is minimal, and sedentary animals suddenly recharge!My ‘fat cat’ Mergi, for example is much more energetic and losing weight. I noticed her energy but now I know why! Powdering her to get rid of fleas… and a cat licking herself… My other two have nice smooth fur coats. Dear Ones: I could NoT be more elated!!!!! For some unknown reason, my house cats developed fleas. I ordered and received your crawling insect DE less than two months ago. It arrived promptly and I started ‘powdering’ my kitties every other day with it. I also sprinkled furniture, rugs and bedding. Tonight I used the flea comb on my cats and… NO FLEAS!!!!! Your product also killed pesky bugs that snuck into the house. You can use testimonial on your web site; I’m a believer! Gets Rid of the Bugs!! I ordered from you Larry and I am glad I did. I use this stuff to&#65279; kill roaches. I dusted everything! I dusted under my stove, fridge, under my sink and this was only a week ago, i have not seen any bugs. This stuff is awesome, thanks for it. I recommend to all of my friends. Funny the National Media, is not talking about this. It is totally natural, inexpensive and it actually works. I hate the media they are such liars. Crawling Insect Control DE got rid of the bedbug problem in less that 2 weeks! I will recommend you guys to any of my friends or family with pest control problems. Thanks a million! I use it to get rid of roaches. I spent $500 on pest management, but it didn’t work. I put some of this down and roach problem was gone in a week. This stuff is so great it should be in everyone’s home!! I am a new customer to this product and I give Crawling Insect Control DE 5 Stars for effectiveness. It got rid of the ants under the patio and I sprinkled it around the cracks around the house. The bugs went away. My chihuahuas hair has started to grow back, the fleas have all left the outside pets. This is Fantastic. And that’s only part of the good news I’d like to share with you. The second part comes as no surprise to me… as a gardener, I’ve heard of and run into crawling insect control diatomaceous earth before, used as an organic pest control product. But I wasn’t sure it would work as it’s a very fine substance. We live in an older home, and have an infestation of the Japanese Ladybeetles that have been sweeping the nation. They somehow squeeze in through the window frames and other cracks in the house, and they congregate around the window areas… by the hundreds! They bite, and are very annoying. Anyway, I spread a little of the powder on the windowsill, and lo and behold, it does work! All I have to do now is vacuum up the dead bugs! It’s working very effectively as an organic pest control! May your God continue to Bless you all. We recently bought Crawling Insect Control DE and an atomizer from your company. We have a 1-year old peach tree that shows signs of peach leaf curl, and info I read said it cannot be managed once started – just spray earlier next spring. I misted it on the leaves, and all new leaves are completely normal with no more signs of curling/browning. Hmmm. In the “Good Things” section: SHAKE AWAY PESTS! Put a kitchen shaker to work in your garden; it’s a great way for dispensing Crawling Insect Control diatomaceous earth. This is a nontoxic pesticide which has sharp edges that kill slugs and bugs without chemicals. Use the shaker to dust an even ring on soil around plants. I have used diatomaceous earth from Earth Works Health for years and suggested it to thousands of my customers. I found you when I was looking for a way to get rid of an ant infestation. Every spring I woke up to hundreds of ants in my kitchen. They were coming in through the foundation at the front of my house. After trying every non-toxic product around, I tried Earthworks Health Crawling Insect Control Diatomaceous Earth. And it worked the first time! I sprinkled the Crawling Insect Control Diatomaceous earth around the foundation on the outside of the house. Then, on the inside, I sprinkled it in front of the baseboards and used my hair dryer on low (I also wore a dust mask so I wouldn’t breathe it) to make sure it went into the wall. The next day I had no ants and I haven’t had any since then. Every spring I put a little DE around the baseboards and I do not have any bugs, including ants, in my house. I also put it around the attic walls and in the attic opening, to control spiders. I live in the country and both my horses’ feed can and my cat’s feed dish were attacked last summer by ants. I tried a lot of remedies but the best one was to place a circle of crawling insect control DE around the dish and the feed can. The ants were gone in a day. Moreover I saw no additional ant trails in my house or barn for the remaining 6 weeks of summer! I dealt with bed bugs for 2 years. Had professionals treat my home more than 7 times. I even moved and threw out all my furniture, beds, clothes, etc…..and wasted more than $4,000.00 because of this. I ordered this product and was skeptical figuring like all else this would most likely fail me. I WAS WRONG. I received my order back in July of 2013. I had bites the first few weeks. But I can officially say this isn’t a joke or scam. My children and I have not been bit since. This is the ONLY product that has worked. I cried because I was so thankful I found a real solution and my sanity!! Take my word this works!! Just wanted to let you know that the Crawling Insect Control Diatomacious Earth, passed a state mandated inspection for bed bugs. I bought it for a heavy flea infestation. I have been a professional pet groomer, so I know weather has a lot to do with flea population and we have had very unusually wet weather this year. Keeping fleas (and oyher insects) out of my apartment is nearly impossible because we are at ground level and my cat is an indoor/outdoor cat. I dusted every floor in the house, heavily and left it for 48 hours, then swept most of the excess up and stored it for use on the floors again. I dusted the cat and let him lick it out of his fur, because he has worms from the fleas. Now, there are NO fleas in my home, except as Baby brings them in, and he seems generally flea AND worm free. He’s a much happier cat, and so am I. However, in places he generally doesn’t go, like under t he funiture, I left it down. Now, I live in controlled housing and we get “the bug guy” out about once a month, and our town has recently seen an outbreak of bedbugs. We were warned to clean up ANY “pesticide”. I didn’t budge and the Specialist with his “BED BUG SNIFFING DOG” told me, and my manager, that it was alright! I have kept it on my deck and no longer have a problem with slugs or spiders, either! I give my “Baby” a teaspoon once a month to keep him parasite free. He doesn’t even notice it, and he’s a VERY finiky eater. Thank you for a great product at a VERY reasonable cost! No More Weird growth in Dog!! Hello, I wrote you last fall and told you my dog had a growth on her front chest that was removed last Aug and started growing back in November. I thoroughly researched your product and with little hesitation started my 18 year old Cotton and her half a golf ball sized growth on the DE in December. As of 07/07/2014 the growth has shrunk down to nothing. Our Vet was amazed! I am so grateful that this product is available to us and is non toxic and actually good for our pets and animals. Thank you so much for sharing the knowledge and you food grade diatomaceous earth!! “Amazing rainrot solution! After Southern Oregon’s first long rain storm, my 13 year old Tobiano mare ended up with a horrible case of rainrot on her entire body, legs and face. I bought Earthworks Health food grade Diatomaceous earth and applied it (using an old nylon stocking) all over the horse on a Sunday and again on Weds. All but one scab had cleared up in about 10 days!!! Hooray!!!! Our dog was wandering through some brush and came up with a red rash on her tummy. It looked to be poison ivy. So I mixed some DE with some organic apple cider vinegar and made a mud mask for her skin. She behaved very well and let the mud mask dry. She was then bathed in a lukewarm bath and in two days the rash was totally healed! Such a wonderful product. I’ll always use my Diatomaceous Earth (food grade). “I have been using DE for over a year now. I feed it to my horses and my cats. I have used it as a stall deodorizer and drying agent. I always keep some in the 100 gal. water tanks for the horses so they consume it through their water as well as put it in their feed. I love this product!! Great for Horses and Dogs! I’ve been giving DE to my horses, dogs for a couple of months now. We’ve had a very, very wet summer here in Florida and my farrier said my horse’s hooves are in great shape, not soft or chipped from the constant wet conditions. My dogs coats look great! Love it for my Animals! “I started giving this to my two puppies when they were 6 months old and the one came to me with a bad case of digestive problems. I tried other things from the vet but it made my cattledog/lab extremely sick and did not help. Looking for an alternative that was natural, I came across DE.. I have given it to my girls mixed in yogurt everyday for the last 3 months… no more problems.. Dogs no longer have lingering digestive problems!! Hi! I ordered a 50lb bag from you last year- SOooo glad i did! EVERYONE comments about how my cat is so lively and healthy! I am one of those not so easily convinced individuals. Two years ago a friend of mine had a very sick beagle. This dog was a great hunting dog and was special in his abilities. However, his dog had become very ill and he had over the period of one year spent $5,000. at Vets. office trying to find out what was wrong with his dog. He was intoduced to DE by a friend of ours who trains and handles beagles and has about 60 hounds in his kennels. He put his hound on DE and within 2 weeks noticed a difference. He no longer had bowl problems and his energy level increased. This is not just a story. He took his dog back to the Vet. after a month and the Vet. couldn’t believe the improvement in the dog. Two years later the dog is breeding, running, and he has been given a clean bill of health from the Vet. I had been told of this DE product by the same friend that told the above dog owner. I have been using a heaped up tea spoon on my hounds feed for over a year now and all are healthy, no problems, hair slick, eyes bright and clear, energy levels are above average even for the 10 year old that had teeth cleaning problems constantly. Like Jess said, “I will never be without DE as long as I raise dogs.” Thanks for advertising this great product. Like Nothing I have ever seen!! This stuff is great!! It has helped me in so many ways, and my cat that for 6 years had a lot of aches. He could only walk 10 to 20 steps and then have to sit or lay down for a bit, then go again. Now he chases our little ferril cat around the house! She also takes DE–they are both very healthy now. His name is Jake, hers is pepper. I also told my best friend about this wonderful stuff–she has a sheep dog named fancy. Fancy could hardly get up when she sits or lays down!! Fancy has been on DE since the 1st of Oct. and now chases birds and runs through the house. After seeing how Fancy was not in pain anymore, her husband said to order more of that “dirt”–we never want to run out!! Thank you for this wonderful stuff! hi my name is Margaret. i am using this product on all my animals. I have horses, dogs, a goat, and cats. I work at a vets office. i work in the kennel. i have shared your product with my coworkers and doctors. I would tell everyone try for yourself. The results speak for themselves. Thank you for a wonderful product. Margaret in TEXAS. DE has worked wonders in our horses. We have large draft horses and we try to keep chemical levels down in our operation. We purchased a young horse and he was full of digestive problems. We found DE and started adding it to their feed. After a month I visited the VET and the VET was flabbergasted at the health of the digestive tract of the horses! DE is here to stay for us! My name is Leo. I live in South Texas and I have a 7 year-old Rottweiller who was suffering with a poor digestive tract. August 2009 during his check-up that year is when I found out. The vet gave me and my wife a poor prognosis for our dog and that he would probably only live a couple more months. We took our dog home and began researching treatment options. A very dear friend of mine who was a farmer, sadly died in a car accident shortly after telling me about DE. He told me that I should sprinkle about 1 teaspoon of DE in my dog’s food at least once a day and that the DE would take care of the problems. I fed DE to my Rott religiously. Well, my wife and I took our dog to the vet just last week for his yearly check-up and the vet was astonished to find that, not only was our Rott alive, but also found that the digestive problems were GONE! He asked what we had done to treat our dog and we related that we had been feeding DE to our Rott. The only explanation he had was that the DE helped. I swear by this stuff! I have tried it on my Boxer dog and on my cats. Boxers are known for joint pains and hip issues, needless to say our boy is running like a champ and looking awesome. I also apply it to his coat and he no longer itches and scratches. Thank you! I have recommended your product to many. My MinPin dog is over 7 years old and since eating the dirt is playing like a puppy again! It is a joy to see! Thanks so much. I am a customer of yours and am very happy with your product. We have 8 dogs and 2 cats. All of us have benefited from DE in various ways. Less flies (way less), poop scooping is a less stinky job, dogs and cats all have shinier coats, cat has not had allergic reaction which produces bare spots in fur, dogs seem happier and more lively. These are all wonderful things. I am so a believer now!! I am a breeder of Anatolian Shepherd Dogs and have been using your product for at least 10 years to keep my dogs healthy. I have a now 11 year old male who had been getting stiffer over the last few years and I was not looking forward to the time when I would have put him out of his pain. Right after I started giving him the DE, I noticed he was not having as much trouble getting up as he used to. Over time, he got better and better, and while he is not running around like a youngster, his quality of life has improved enormously. All I can say is … thanks so much and God bless you for making something so good affordable for those like me (I just turned 65) who are on a fixed income and cannot afford expensive things. I don’t know what I would do without you. Acts Like a Puppy Again!! Hello, Love your DE! I bought it for our cat who was a rescued cat at a shelter. The whole litter was found in the dumpster at 4 weeks old. On antibiotics from the start. Then when he was 3 he fell out of a third story window and had surgery to put him back together again. And another surgery. Lots of digestive difficulites and on special foods, sneezing and throwing up. And he had a mean streak to him. Now on DE no more digestive difficulties at all and he does not seem to have the mean streak at all any more. Used to hiss around other animals and sometimes people. No more. It seems to be very calming. Also he would get these raw sores by his ears. The vet would put him on antibiotics and a steroid cream. They would always come back. I put some DE in a healthy skin cream and put it on the sores and in 3 applications the sores were gone! He usually hates me to put stuff on him and hides and will hardly come around to eat. Would eat in the middle of the night to avoid me treating him. But with the DE he seemed to know immediately that it felt good and let me do it. Amazing. I give him about 1/2 tsp in his dry food and another 1/2 tsp in his canned food every day. I gave some to my sister for her 16yr. old dog that could hardly walk and 2 weeks later she called and said that he was almost like a puppy again.I am sold on it . I stumbled across your website over a year ago while looking for a digestive aid in my horses. I called every farm supply store around and no one had even heard of it. After reading about it, I decided to give it a try, and the results were very good. I noticed when we would ride trails with others, their poop was not smelly or runny like the other horses, plus they just look good. Digestive problems in Cats solved! No More Spending Lots of Money for Our Pups! Our Dog Acts Like a Puppy Again! I started my female black lab on this, in her food, from a neighbor, hoping it would clear up her yucky ears but to no avail. Going to try to use it just as powder in her ears and see if that helps. But we have noticed that with all three dogs that we own, it cleared their yucky and stinky breath! Even a change of the dog?s food did nothing! Also oldest male dog of 13 ? years, who has bad joints has noticed some improvements! I am so very happy!! So glad my neighbor told me that she gives it to her dog! As for the dogs ears, we shall see. I hope it works because the ointment that goes in her ears is 14.00 a tube. See general improvements in My Dog! Hi, my name is Vicky. I found this website while searching for a remedy for a yeast problem for my most favorite friend, my 2yr old Beagle, Baby Girl. I did in depth research over 7 months before I found this DE website. Being a little skeptical I bought only the 2.5lb jug of FOOD GRADE DE. I mix 1 tbsp in her dry dog food every morning. The DE clings to the food pieces. After about 1 month I saw a great improvement especially her skin and coat as well as her overall health. More energy, more tail wagging, no more rubbing her ears, chewing her paws and constant scratching. She definitely did not have any fleas or other creepy crawlers so after hours & tons of research I came to the conclusion that it was a yeast problem. I also read that vaccinations also cause yeast problems. She had just had her rabies booster shot when the problem started. I still mix DE in Baby Girl’s dog food as well as changing her diet to include fresh veggies and fruits and Omega-3 all natural fish oil. 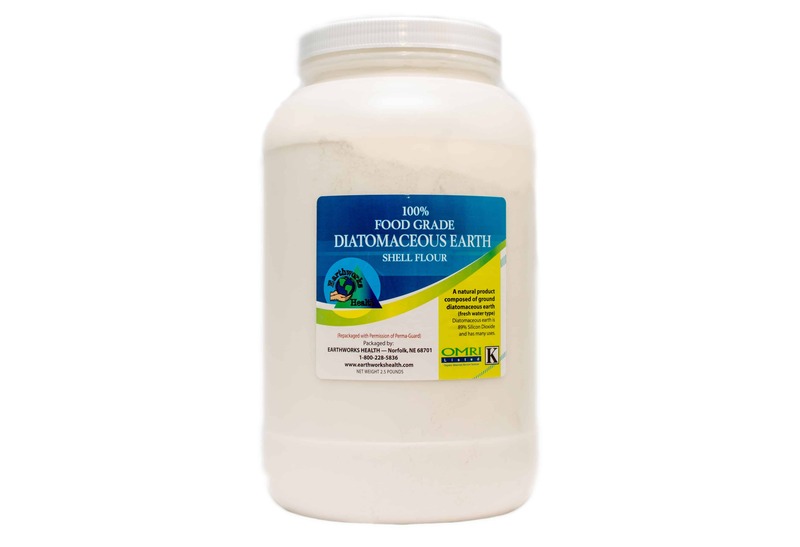 I started using Food Grade Diatomaceous Earth 4 years ago as an aid for digestion. I have her taken to the vet every 4 months and the results have been great! Also, she had a large spot on her side when I first got her and it is now virtually gone! Love this stuff! My daughter has a pit-bull who has had allergies all his life. He has scratched and scratched almost every waking moment of his life. Medication did not help much so when my daughter went on vacation, I started giving her dog Food grade diatomaceous earth in his morning breakfast. The stuff that came out from his stool was unbelievable. My daughter’s dog and mine are so very, very thankful…the relief is indescribable. I just wanted to let you know about the wonderful effect that Food grade diatomaceous earth has had on my seven year old Great Dane. 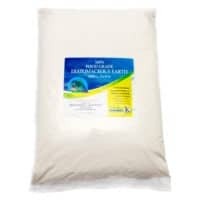 I originally ordered Food grade diatomaceous earth for myself and my boyfriend and decided to add some to my Great Dane’s food every evening. 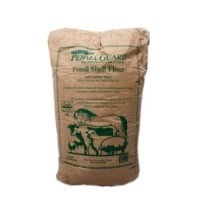 Being a giant breed, Great Danes are often plagued with health problems and their life span is, on average, 7-10 years, so I figured that Food grade diatomaceous earth could not do her any harm and might help her as she gets into old age. She has been on a heaping tablespoon of Food grade diatomaceous earth for about 2 months and I cannot believe the change in my dog! Danes are generally very low energy, so I always attributed her slowness and laziness to her breed, but since she has been on Food grade diatomaceous earth she is running around. Actually running!! It has been years since I have seen her run more than a few strides, but now she is running around and playing with my other dogs and wandering around by herself. I own a 30 acre farm and she used to stay right by the house but now she is wandering off by herself and staying outside longer than she ever did before. Also, she has always had a beautiful coat but has always been prone to dandruff. the dandruff is also gone! Her fur looks healthier and she also looks leaner, whereas before she was a little bit overweight and extra weight can be detrimental to a very large dog with potential joint problems. Overall, she has so much more energy than she has had in years. She looks better and seems happier. I can not say for sure if the Food grade diatomaceous earth is the reason for the changes I have seen in my dog but it is the only change I have made to her diet and lifestyle. So I credit her increase in energy and well-being to Food grade diatomaceous earth. Thank you! Miniture schnauzer back to normal again! We have a miniature schnauzer of 11 years. Her eyes turned a cloudy gray green and she bumped into everything. She was practically blind! At night she needed assistance to find her way outside to pee. I had some DE so I put her dog food in a 5 gallon bucket. I added several cups, put the lid on and shook it up until all the food was coated white. After about 3 months of feeding her the coated dog food, the cloudy eyes cleared up and turned back to normal brown color. Other noticeable differences were a nice fur coat, better mobility, moles fell off, and more vigor. I am not sure exactly why this stuff works but it did for my pet and I am very happy to have my dog back to normal again. DE helped my dog’s spinal injury! Just have to let you know, our 15 yr old toy poodle injured her spine. Our vet told us to just take her home & treat her as an injured senior citizen . She was too old for surgery. Started her on your pet product w/ vitamins. We built her a ramp to go out her doggie door. She couldn’t & wouldn’t climb the steps into our house. We had to pick her up & carry her inside. Within 2 wks, she started walking just around the house. It has been about 4 mos now, she is climbing the steps, walking daily w/us & we are thinking about taking down her ramp. She doesn’t limp anymore at all. God bless you for this wonderful product. Since God made DE, I am giving him all the glory & thanks. Divine Performance Horses is a training facility located here in Brady, TX. Our ranch has been located here for 5 generations and over time, gone from a strictly sheep industry, to cattle and sheep, to cattle only, but one of the things that has not changed in this family is, training horses. Training has been a side job in our family for multiple reasons, we need horses here as ranch hands, and to sell for extra side money at the end of the year. I am a 3rd generation horse trainer 5th generation rancher. We have horses coming in and out of training every month from all around. We put our horses through intense training, some more than others, depending on what the owner has them being prepped for. We specialize in race preparation, colt starting, ranching, barrel racing, and more. We host clinics and give riding lessons to McCullough county and surrounding counties. We are huge in the Barrel Futurities and travel with our client’s horses as well as ours, to events across the states. We put banners in front of our stalls, advertising our DPH business as well as our sponsors. People ask us what we feed, saying our horses look great, and right now we are telling them about one of our sponsors and the supplement they supply us with: EQ Royal a blood builder, which is great, and does wonders for horses under intense stress and competition, but not all of the horses are on it. What all the horses are on in the DPH barn is DE! We have been using the DE powder for the last 8 months, and we love it! DE is easy, does not break the bank, and our horses have maintained the weight they need, even under intense training. Where our journey begins with DE: Part of being a training facility is making sure horses coming and going look great, the process of finding a non chemical supplement that was compatible for horses coming in and out, was a pain to have several different supplements for several different things, when DE does it all at once. While having to feed several different horses. I switched from several high dollar supplements. This resulted with some horses looking great, while others, well, feeding them endless scoops morning and night just to maintain their health and body fat while in training became very pricey. I was stressed but determined to find a supplement that my barn could manage on. I was not impressed with the higher brands nor did I like feeding chemicals and found it hard for horses under training to maintain weight. Needless to say, the horses started dropping weight fast, I was not happy with that product. Immediately dis continued the use of those supplements. After taking equine nutrition classes, for multiple reasons so I can better inform my clients and students on proper feeding management with their horses, talking with my 1st cousin whom I have worked under several years and very close to is vet, we started pulling labels and comparing supplements. We liked what We read with DE. Long story to short for the last 8 months Divine Performance Horses has been feeding DE. With no colic, weight problems, and horses who have seemed to have sensitive stomachs have also done great on the powder. Like previously stated, horses who are here for a short amount of time adjust to DE beautifully and maintain the weight without breaking the bank, this was just what we needed thank you so much! I have some students who I convinced to switch to it love the price as well as the results.